Chef Bruce Rogers knows a thing or two about soup. He’s created over 150 recipes in his 9 year tenure with Hale & Hearty, and still manages to create over a dozen new soups each year. His source of inspiration - fresh, seasonal ingredients - can be found all over the Hale & Hearty menu: from homemade salad dressings to soup stocks made from scratch. 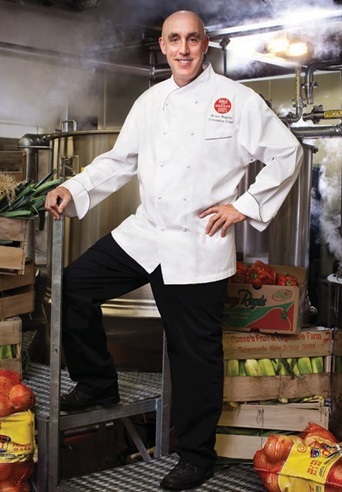 A Brooklyn native, Chef Rogers’ passion for making great soup started at an early age while in the kitchen with his mother. At 16 years old, he started cooking in various NY restaurants. Shortly after, Chef Rogers was taken in by the great French Chef Henry DuBoise, which led to opportunities working under Michael Ayoub and Jean Claude Nedelec, and eventually as Executive Chef of financier Saul Steinberg’s Reliance Group. He has cooked for Presidents Nixon, Ford, Carter, Regan, George H.W. Bush and Clinton, as well as celebrities such as Willie Nelson, The Rolling Stones, Dom Delouise and the late Princess Diana. Today you will find Chef Rogers in our USDA Commissary, overseeing production, quality control and of course, developing the next great Hale & Hearty soup. I started cooking at an early age. I remember watching my mom cook dinner and thinking, “I could do that.” Then I got a job at a butcher store, delivering meat, and they saw I was interested in where the cuts of meat came from, and how to break them down for the customers. I was given encouragement early on from a lot of different sources. What strategic partnerships/marketing strategies have you implemented that have attributed to Hale & Hearty's success? Our most exciting partnership by far, and the one that has received the most attention, is the Hale and Hearty Chef Series. We started the program three years ago, to raise money for charity. Each year, we invite four notable guest chefs to create a Hale and Hearty soup, which we sell in all of our NYC restaurants. We donate 10 percent of the proceeds to the charity of each chef’s choice. 2015 was a very exciting year – we donated close to $50,000, thanks to our guest chefs Mario Batali, April Bloomfield, Daniel Boulud and Gabrielle Hamilton. Comfort food is back. Our best performing soups right now are our bisques and chowders, which are creamy, or chunky, and packed with great, bold flavors. There’s been a big move in the industry towards using locally sourced ingredients, and that’s something we’ve always done. Even though we’ve grown so much over the years, we still get our Italian sausage from a shop that’s operated in Hell’s Kitchen since the 1920s – they make a custom product just for us. Our soup bread is also locally baked, is artisanal, and done to our specifications. We do occasionally embrace trends, like creating more vegetarian soups, or more gluten free options, or making more soups with popular ingredients like kale, often because our guests ask for it. I’d say our guests’ preferences guide us as much as the trends do. A lot of it also, is what’s in season. We don’t have a long supply chain, so our Butternut Squash soup, for instance, is only available during the months that Butternut Squash is available in the region. Seasonality has become very popular. But overall we tend to focus less on trends and more on making great food. Pay attention to your family. The wife and kids are what’s most important. The Yankee game can wait - they can’t. Soup made 100% from scratch in our kitchens, from the finest and freshest ingredients. Your greatest success as Executive Chef of Hale & Hearty? Most difficult moment-how did you overcome and what did you learn? My greatest success at Hale and Hearty has been the continued growth of the company. It’s very affirming to know that we’re creating great recipes that draw more fans to us and keep people coming back. My biggest challenge as a chef is adapting the fantastic Chef Series soups to our large scale. 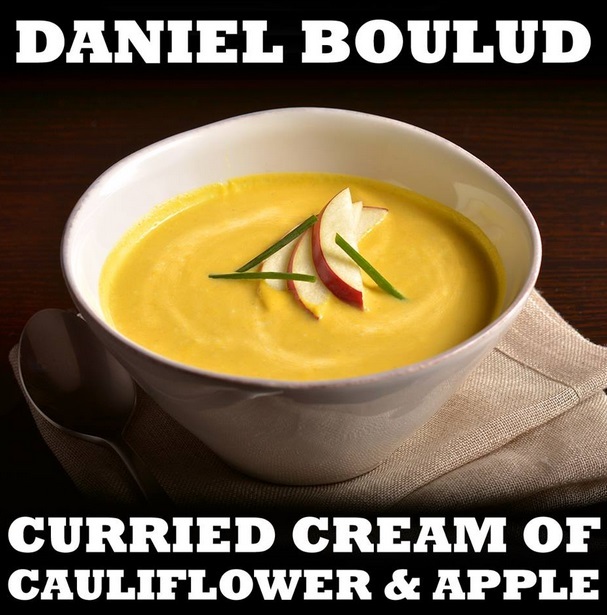 Our celebrity chefs contribute small batch recipes for their soups, and I need to scale them up into large batches while maintaining the integrity of the Chef’s name and product. Whether you’re working with another chef’s recipe or creating your own, it takes time to get the best results. I have learned not to run before I walk. Your advice to an aspiring chef/restaurateur? Have patience and a thick skin. Have faith in yourself. Describe the ideal experience at Hale & Hearty. From my perspective, sitting down in the summer with a great chilled soup and salad in Bryant Park, or any of the city’s wonderful outdoor spaces. Our most popular dishes, the ones that sell best, aside of our everyday Chicken Vegetable, are our seafood soups – our New England Clam Chowder and Lobster Bisque both have big followings. Our guests also love our cheese soups - Tomato Cheddar is one of our most requested. But my favorite is our Chicken and Sausage Jambalaya. I give my employees all the credit when things are great. When things are not so great, I take responsibility. It’s more important to me that everyone have a positive attitude at work. This is a hard question, but I’d have to say my mom’s Hungarian Goulash with buttered noodles. As for the drink, Hendricks over ice with a squeeze of lime. Theodore Rex by Edmund Morris. It’s about Theodore Roosevelt’s presidency. I am a big fan of history. I read a lot of non-fiction and biographies. My role models in business have been the Chefs who have trained me - Michael Ayoub, Henry Duboise, Jean Claude Nedelec, and Alain Petit, to name a few. They taught me to be a professional. My personal role model was my mom. She was stricken with polio as a toddler but never let that stop her from doing anything – and after my dad passed away, she raised 3 kids by herself. She was my hero. Reading, both for myself and to my kids. Nickerson Park Campground in Gilboa, NY. What's next for Hale & Hearty?